February 27, 2011  Twenty-somethings aren't likely to wait for the latest car magazine, and they're less likely to see the latest TV commercial. That's making it harder for carmakers to get eyeballs on their products. February 24, 2011  General Motors has had a banner year — from its stock offering in November to the triumphant debut of the Chevy Volt. Now the company has reported earnings of $4.7 billion for last year. But it still has a way to go before it's independent of the government. February 23, 2011  Across the country, governors are addressing budget shortfalls by trying to curb rights and pay for public employees. In Ohio, GOP introduced legislation would rein in collective bargaining powers of public employee unions. February 22, 2011  Protesters are converging on the Ohio Statehouse to protest as state senators hold a hearing on a bill to weaken the collective bargaining rights of state workers' unions — including firefighters, police and teachers. Republican leaders in the state Senate say the move is needed to curtail the state's projected $8 billion, two-year budget deficit. 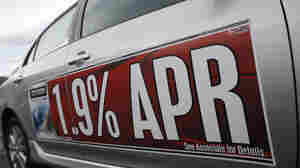 February 22, 2011  New and used auto sales jumped 20 percent last year, according to a new survey of businesses. The car industry, sensing a rebound, has responded with an abundance of TV ads. Economists say the uptick in sales is a sign that consumers are starting to believe the worst has passed. 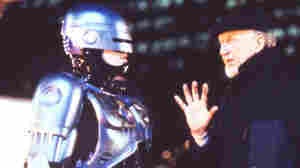 Detroit May Need A Hero, But Is It Really Robocop? February 20, 2011  Many cities have statues of icons that represent the spirit of those towns. New York has the Statue of Liberty. Metropolis, Ill., has a statue of Superman. And, of course, Philadelphia has statues of Ben Franklin and Rocky Balboa. Detroit's thinking of getting a statue, too — of RoboCop. 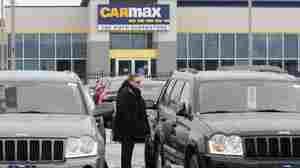 February 15, 2011  Michigan is encouraging companies to look beyond the auto industry to help the state thrive. So one supplier who specializes in making protective cloth coverings for the robots used in auto plants is expanding into the fashion world — producing blue jeans inspired by the Motor City. February 9, 2011  Detroit Mayor Dave Bing has come up a new effort to revitalize the city: He's offering renovated homes in Detroit to police officers for as little as $1,000 down. The idea is to lure them back and to improve public safety. More than half of the 3,000 officers live outside the city. February 5, 2011  Friday's unemployment report for January showed weak gains in service sector jobs, such as those in restaurants and nursing homes. Manufacturing was strong, however, but will those gains will help minorities, who were especially hard-hit by the Great Recession? January 23, 2011  In spite of the nascent auto recovery, many analysts question whether or not General Motors and Chrysler can prove profitable in the long term without the ability to finance the cars they sell. January 21, 2011  The US automobile industry's annual showcase — the North American International Auto Show — is drawing to close in Detroit. And attendance has been up from last year. The show comes amid signs of growth in the auto industry: General Motors, Ford and Chrysler are expected to add some 28,000 more jobs to their operations this year. Host Michel Martin talks to NPR Business Reporter Sonari Glinton, who covers the auto industry and was at the show. January 20, 2011  Multimillion-dollar tax credits have attracted more than 100 film and TV productions to Michigan. But, Gov. Rick Snyder's latest proposal to levy a flat business tax in the state may dissuade Hollywood's interest. 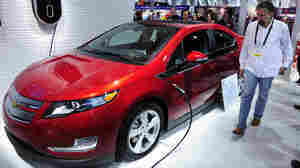 January 14, 2011  Electric cars are all the rage at the North American International Auto Show. The star of the Detroit show is the Chevy Volt, and there are plenty of others on display. Still, experts say electric cars will account for only a small sliver of sales for the foreseeable future. January 12, 2011  Sales for high-end automakers like Porsche, Ferrari and Bentley are on the rise, as the economy begins recovering from a long, deep recession. In 2010, sales for Porsche were up 30 percent. Still, luxury sales remain a small sliver of the overall industry.